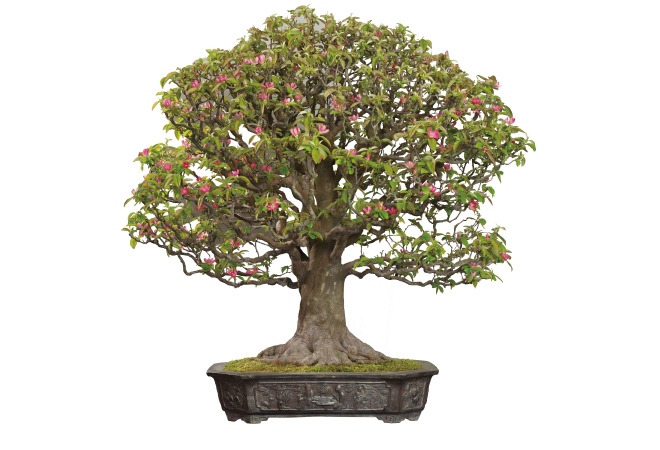 Bonsai are largely categorized into two groups; shohaku and zoki, according to the type of tree. Also they are referred to by different terms determined by their styles, such as by the number of trunks and by the direction that the tree is growing in. 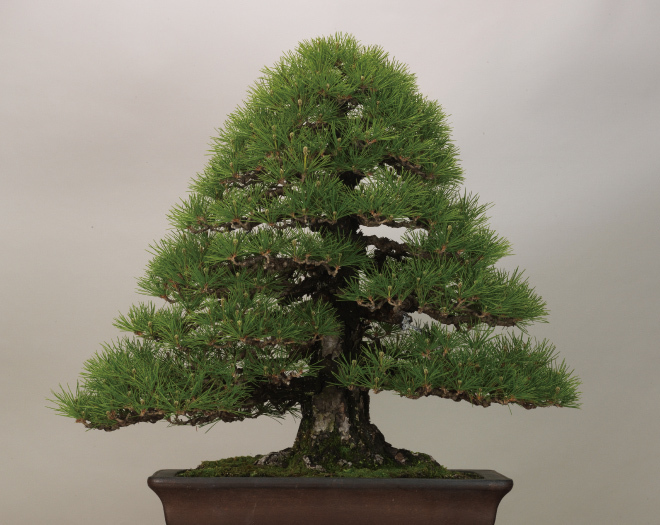 Conifers, with their growths of deep green needles, rank as the prototypical bonsai. Especially beloved are the matsu and shimpaku, together called shohaku. Shohaku roots and trunks, in their great vitality, display their beauty of form in a variety of ways. Zoki, in contrast to shohaku, display a variety of changes with the progression of the seasons. Viewing points vary by the species; momiji and kaede are representative of trees with leaves turning from green to autumn tints, while others, such as fuji and satsuki, called hanamono bonsai are enjoyed for the flowers, and karin and others, called mimono bonsai bear fruit. 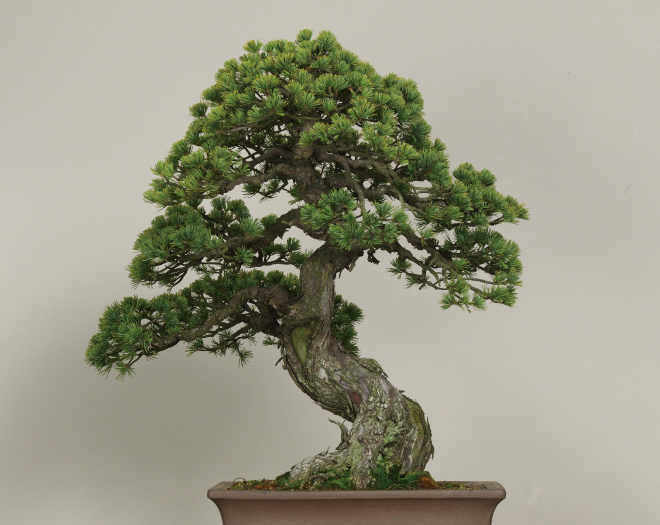 Chokkan, with a single upright trunk, is one of the basic styles of bonsai. 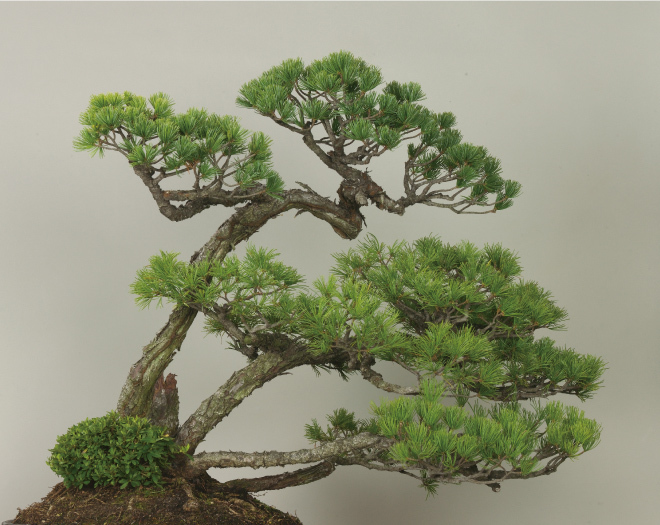 Along with chokkan, moyo-gi, with a varied trunk form, make up the most archetypal bonsai shapes. There are also other styles such as shakan with a slanted trunk, sokan that has double trunks, and sankan with triple trunks. 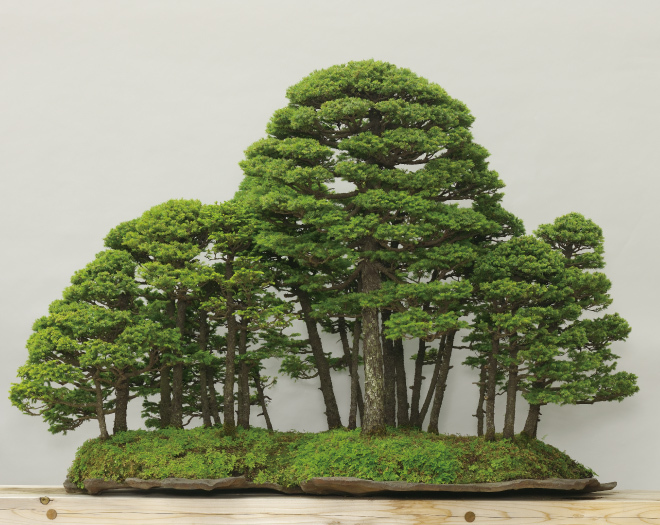 These bonsai are meant to display the image of the tree persevering the severity of nature. Fukinagashi is a style of bonsai with the trunk growing at an angle, to illustrate a tree being blown and tossed about in a strong wind. 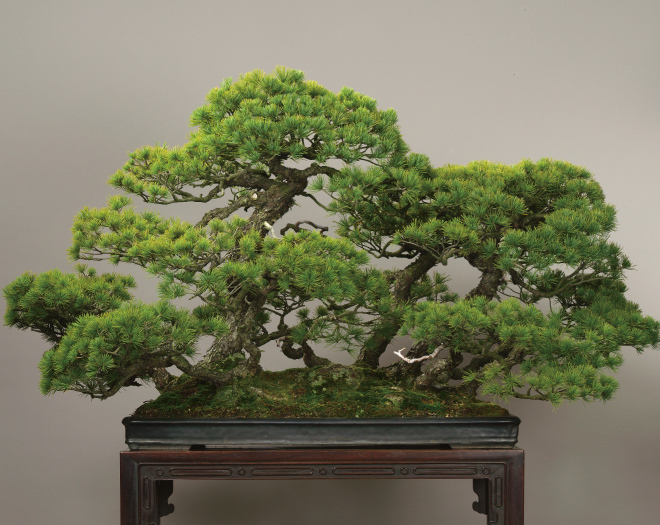 Kengai is also a form of bonsai with its distinctive feature depicting the apex of the tree hanging down from a sheer cliff. 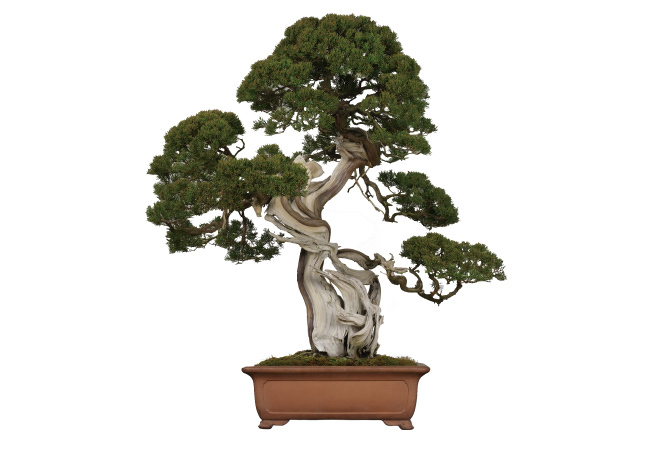 Ne-tsuranari is a form of bonsai, which displays trunks sprouting from a single root, appearing huddled together. 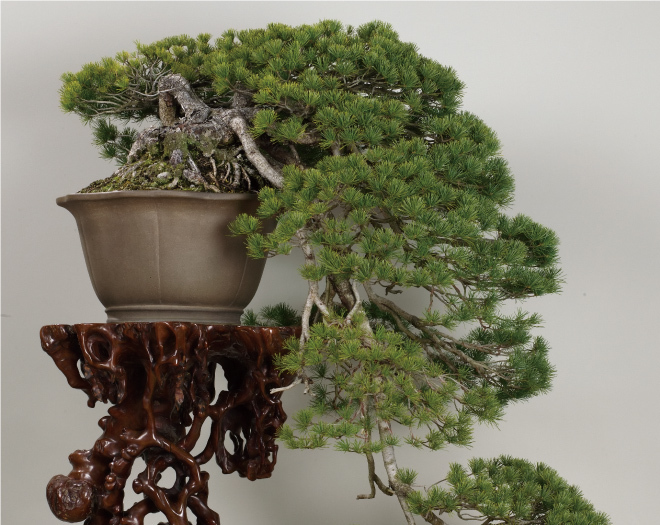 Some yose-ue, or several trees planted in a pot, are made to depict a graceful forest scenes.